Laser cut from genuine perspex Acrylic or Natural plywood. A couple more offerings featuring the Glider character skin or the alternative 'F' logo. ​Choose your design and colour using the drop down menus below. 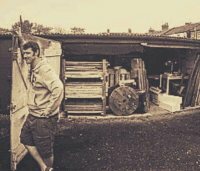 Made from rustic reclaimed boards which have been finely sanded, emblazed with Fortnite laser engraved detailing and hung on chains. 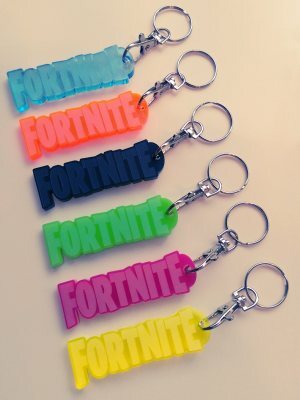 These are sure to be a big hit with Fortnite players young or old! 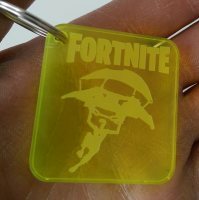 These Fortnite logo phone charging stations also boast easy organisation for your keys, watch, glasses and a handy ledge at the back for a wallet or purse. Great for gifts or even just a non subtle hint to someone to stop leaving their stuff lying around the place! Provided in 2 pieces, simply slot together and you're good to go. These door signs feature the Fortnite round logo and are personalised to order. Laser cut from lightweight 4mm plywood and laser engraved and cut in our workshop, these are a big hit with online gamers and make great gifts and stocking fillers. Each comes complete with double sided adhesive for easy fixing to any surface. Flosser or Dabber? Which one are you??? 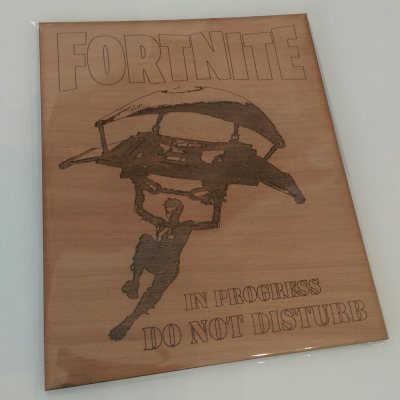 These wooden wall and door decals are in true Fortnite fashion and feature some of the most popular poses as depicted by characters in the hit online game. Choose from small or large sizes and either keep them naturally in wooden fashion or paint them in your own colours or designs. Either way they look great in any Fortnite fans environment! Warn those close by you're in the middle of a game! Comes complete with 4 x glue dots for easy fixing anywhere! A triple layered sign, laser engraved with Fortnite character skin and wording. Hung on industrial style galvanised chain and suspended on D-rings, these are a must have for any serious gamer!